This concludes our month-long Lava Lake series. Brian and Kathleen Bean’s family-owned ranch is located just southeast of Sun Valley where the Pioneer Mountains meet the Snake River Plain. They own 24,000 acres and control 900,000 acres of grazing allotment lands. I asked Brian what his long-term vision was for Lava Lake and the Pioneer Mountains to Craters of the Moon region. He did not hesitate in laying out a dramatic vision for the future. In retrospect, Brian sees their engagement in Lava Lake Ranch as evolving through phases. Phase I was Brian and Kathleen’s motivation as conservation buyers. Phase II was the “aha” moment, when they realized they could assemble other properties with easements to cont rol the watersheds all the way into the national forests, encompassing three biomes: sage scrub, intermediate forest, and montane forest. The intermediate region includes about 100,000 acres of private lands, and if it is developed, the connectivity between the desert and the high country will be lost. “Our livelihood dies,” in Brian’s words, as well as that of pronghorn and plenty of other species. So, Phase III became the Pioneers Alliance, which has been focusing on protecting the intermediate country for the past four years. Phase IV is a central Idaho grazing network, which extends their reach and area participation in grazing management over another one to two million acres toward the northeast. “With over 40 Wilderness Study Areas, Inventoried Roadless Areas, and Areas of Critical Environmental Concern, the ecological significance and wilderness qualities of this region are clear,” says Brian. Brian and Kathleen now have almost 1 million contiguous acres protected or under conservation management, and the montane forest managed under the Lava Lake grazing protocol is much healthier today, according to their scientific monitoring data. 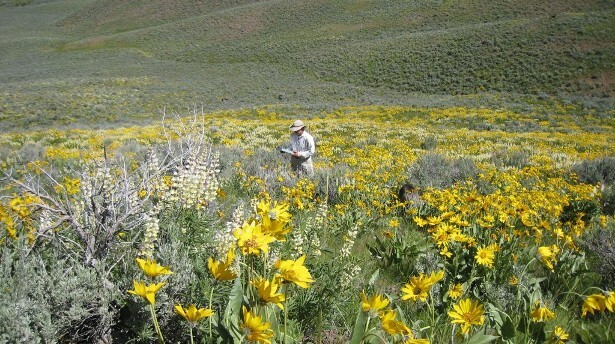 The Lava Lake Institute has conducted nearly two dozen field studies on rare plants, weeds, water quality, songbirds, amphibians and reptiles, sage grouse, elk, and pronghorn. From whence came the energy to achieve this Lava Lake and regional vision? In the end, it all comes back to motivation. 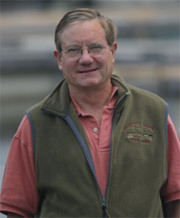 Here is Brian Bean’s: “I grew up hunting, fishing, camping, backpacking and ski touring. I love the American West. Since I can remember I have considered myself a conservationist. I’ve always wanted to have a positive impact on the land. “I watched some of the wonderful places of my youth, north and east of Los Angeles, get developed and the ranches broken up. The ‘ranchettification’ of the American West wounds my spirit. If we can create a footprint with deeded properties - as modest as they are relative to public lands - we will have done something in a wonderful place to avert that destruction. Not delay it - but eliminate the potential that it will ever happen. So the mission, the fire was to take a beautiful place and do our damnedest to make sure it stayed that way." Lava Lake Ranch and Lava Lake Institute are the Beans’ legacy. “Our daughters, Phoebe age 17 and Fiona age 12, will be coming out to the ranch this weekend,” Brian said the last time I spoke with him. “They are typically at the ranch most of the summer. It’s a wonderful place. They love nature and hiking, all the activities here, the horses, raising guinea fowl, building chicken coops. Whether or not they become infected by this passion for conservation, I want to give them that opportunity. And perhaps, with a little more time and a little more story-telling, ranchers will once again be widely recognized as the essential grassland stewards that they are.